This map is the City of Atlantis. Atlantis was known to have advanced technology, and therefore would not have simple means of transportation. 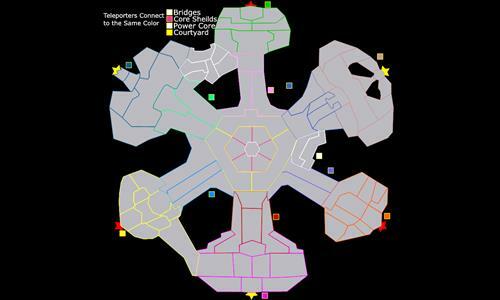 Teleporters were placed at the end of each pier in order to speed up human movement. Review by CunoThe1 on 8/23/2016. nice map, it doesnt look great, (black text is not readable in a darkblue background btw). I like that having the middle doesn't immediaty let you win, so it is very balanced. The northeast bridge is very very annoying. thanks, this was my first map and I definitely need to go back and fix the text. Do you mind explaining what is annoying about the northeast bridge and what I could do to fix it? Review by Andalorium on 8/27/2016. thank you, anything that I could do to improve it? Pretty good map. Best in a 4FFA setup, I think. Match would move faster then. Fonts need fixing (already noted, I see). Might want to something with the core to make it easier to reach. Perhaps the teleporters can all go to it as well. That would shake things up a bit!